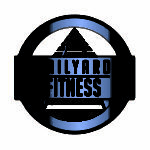 Railyard Fitness believes that Fitness is Freedom. Through our physical and mindful exercise classes, whole body programs and nutritional guidance you will be able to reach optimal health. The gym is situated in a uniquely elegant setting providing state of the art Matrix Equipment. In this type of a gym setting the pressure is off and the ambiance is on. We want you to feel good while working out in an extraordinary space. The result is something that Santa Fe currently does not offer, a high end facility with privatized needs. With a nod to the environment Railyard Fitness is the only fitness facility in the southwest offering a Platinum LEED building! Classes include Spin, Tri-Fit, Kettle-bell, Yoga, Urban Training, Weekend Warrior and more to come!